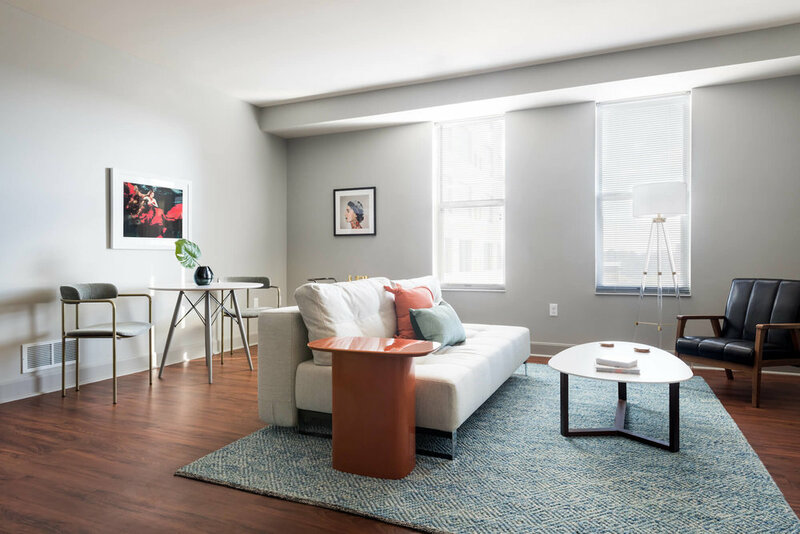 At this understated location of The Guild, you’ll be nestled into The Banks in the heart of downtown Cincinnati. 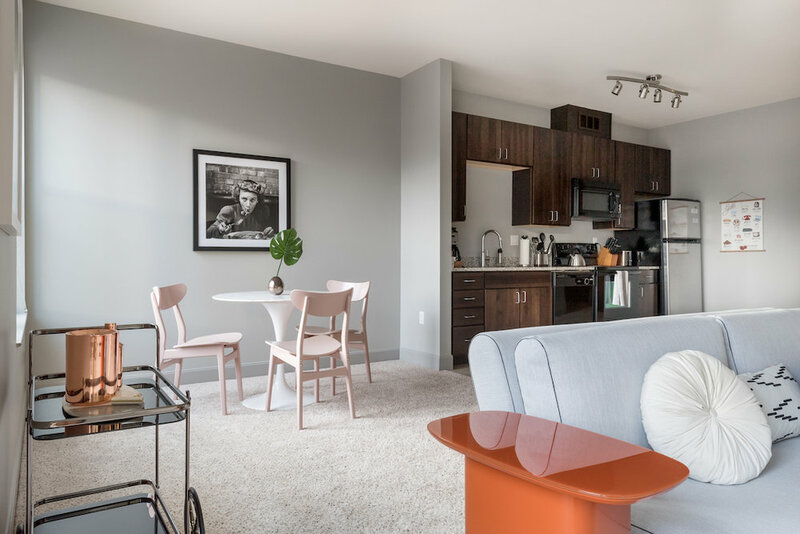 There, you’ll be footsteps from attractions like the National Underground Railroad Museum and Great American Ball Park (home of the Reds), not to mention the city’s up-and-coming arts scene. Take a day trip to the Kentucky Bourbon Trail, or explore the neighborhood, before returning to your building and its on-site gym and outdoor pool. Naturally, you’ll also enjoy the same personalized service, impeccable design and 24/7 concierge you’ll find at every location of The Guild. This building is nearby a sports stadium and may be loud at night during scheduled sports events. This area of town is well lit but you may find certain portions of downtown that aren’t.